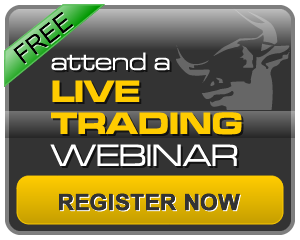 Join me this Tuesday at 4:30pm for a live discussion about markets, trading and investing. I will be the guest of CyberTrading University and joined by founder, Fausto Pugliese. We will be looking at how to address this market action from a standpoint of important support and resistance as well as trading zones. Also, an introduction to TriggerPoint Research during this webinar. Fausto was one of the original SOES bandits of the early 1990’s and one of the first independent traders to take advantage of the Direct Access Trading technology boom that started in 1987. He acquired a wealth of knowledge from years of hands on experience and working side by side with some of the most practiced and successful traders in the industry.As a result of his knowledge and expertise, others immediately noticed his success as a trader in the industry. Soon after, Fausto was swamped with emails and telephone calls from other traders who wanted his trading advice. * Horowitz & Company, Inc. is registered as an investment advisor with the State of Florida and conducts business in other states where it is properly registered or is excluded from registration requirements. Registration does not imply any level of skill or training. Sign up to be the first to receive the latest analysis and podcast updates !